Taking a flight to reach a place is the fastest way to discover your destination. But taking a road trip to get there, is the fastest way to discover yourself. As an avid traveller, many people always preferred surface travel to take a flight. And by surface travel, we mean hitting the road. It brings closer to the land, its people, its culture, and of course, to oneself. When you take a road trip, you’ll find the most amazing experiences revealing themselves to you. Like a quaint little tea stall that also serves the most amazing Maggi noodles prepared with local spices and with love. Or the gurgle of a river that provides musical accompaniment to your lunch and embraces you with such serenity, that selfies suddenly become obsolete. Or the guest appearance of an unusual animal species who stares at you with equal amusement and curiosity. It doesn’t matter whether you’re self-driving or chauffeur driven, whether it’s your own vehicle or public transport, whether you’re solo or with your gang, road trips have a way of adding an extra dimension of excitement to the travel. And while enough have driven and written about the road trips in India, have you ever considered planning an international road trip? There is a huge list of places one can explore depending upon how many days you can spare, how comfortable you are with roughing it out, and most importantly, your appetite for the unknown. With international off-roading vehicles available in the country, experiential travellers are now exploring international road trip from India as a viable option. The beauty is that you can start with places close to India such as Nepal, Bangladesh, Bhutan, Myanmar and Thailand. Yes, India to Thailand by road! Places which are known for their exoticism and pristine beauty. Often written about but little explored. Here are 5 places that you can easily travel to easily, especially if it’s your first international road trip. The best advice is to start with the more approachable destinations. You can gradually ramp up your choices as you get comfortable with the experience. The best part about driving to Nepal is that you can enter it anytime without going through elaborate permissions or painstaking processes. This country tops every budget-conscious adventurer’s go-to list for its world-famous Himalyan trails and underestimated wildlife. For those who want it a little easy, the ancient stupas, mesmerising forests and lakes, and surrounding towns like Pokhara provide restful relief. How to drive there: As UP borders Nepal, the shortest driving distance is through the Sunauli border, which is about 180 km from Gorakhpur. From there, a 3-hour drive will get you to Bhairahawa in central Nepal. From Delhi, the approximate driving distance is 800 km which could take you minimum 3 days, depending on how many stops you take. DTC also has a “Delhi- Kathmandu-Delhi” International Bus Service which is a comfortable air conditioned coach, but the journey is long and arduous. The service is operated from Dr. Ambedkar Stadium Bus Terminal near Delhi Gate. It may be known as river country (with nearly 700 rivers) but you’ll find enough reasons and roads to appease your newly-found pioneering spirit. Tourism is in its infancy, but its people are filled with stories and don’t be surprised to write a few of your own. Bangladesh is not a country in a hurry so make sure you synchronise your watch to its pace to make the most of your trip. While it is dotted with two UNESCO World Heritage Sights, the one thing you shouldn’t miss is the Sunderbans National Park, famous for its lush mangroves and home to the Royal Bengal Tigers. How to drive there: The fastest way to enter Bangladesh is via Kolkata, Siliguri or Agartala. If you’re self-driving, you will need special permits. If you want to avoid applying for those, you can just hop on to a bus from any of the abovementioned places. If a country values its wealth by the Gross National Happiness index, this country definitely needs to be on your list! While Paro & Thimpu are its most visited cities, other lesser known jewels are Punakha which is known for the Punakha Dzong, the only monastery that rests on flat land; and Phobjikha Valley which celebrates the Crane Festival in the last week of October, when it is visited by throngs of migratory black-necked cranes. Test your horsepower as you trek 900 metres up Paro Valley to Tiger’s Nest or Taktsang Palphug Monastery as it is locally called. Apart from the scenic views, legends and myths also surround all of Bhutan and these are narrated with such conviction that they are almost believable after a point. 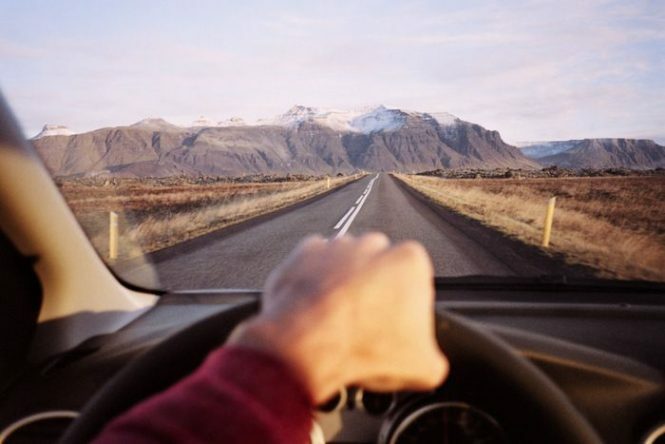 How to drive there: The best way to go there is to drive from Siliguri to Phuentsholing, where you will need to stop and apply for vehicle permits from RSTA to go farther. This takes roughly 3-4 hours. Your Driving license, if you do not wish to hire a local driver. Though your vehicle is allowed, Bhutan authorities advise you to take a local driver for your car and discourages self-driving due to its winding mountainous roads, which most drivers may not be experienced with. The recent opening of the 3200 km India-Myanmar-Thailand Highway has provided enough reason to celebrate for seasoned travellers like myself. If spirituality is your scene, Myanmar is where you’ll find the peace you seek. Previously known as Burma, Myanmar is as Buddhist as it can get, with its thousands of stupas and maroon and saffron clad monks who greet you with a smile at every step. If Switzerland is post card pretty, Myanmar is like the centrespread of a travelogue – intriguing, enchanting and captivating. How to drive there: The best, fastest and economical way to get there is from Imphal, the capital of Manipur. The village of Moreh connects to the village of Tamu in Myanmar. The nearest major citiy to Tamu is Mandalay. Do we need to even go into the details of Thailand! I’m sure most of you have already been there; Thailand is typically the first destination on every first-time international traveller’s list. Beaches, mountains, shopping, food, night markets, night life…Asia’s most party place rocks it all! And you’ve probably done it all…all except a road trip to Thailand. And if you plan to drive up to Myanmar, Thailand is just a couple of days ahead. For this, you’ll have to cross Myanmar – Thailand border at Myawaddy. Traveling from India to Thailand by road or any of the above mentioned road trips may require some additional documents which you need to keep with you. Do check with the local consulates for these. We’ve intrigued you enough with these fascinating joyrides, but here are some important things to keep in mind before you start packing your bags. A road trip is cannot be an impulsive decision. It requires months of planning the destinations, routes, visas and permits and finances and forex. Even choosing your travel companions is a decision to be made with thorough thought as you need to be on the same wavelength and of the same mindset. Select the currency you need, along with the specific amount you’ll be carrying for the trip. Enter your details and choose whether you’d like your forex delivered or if you want to pick it up from the nearest branch. You can pay for your forex through multiple options, including credit card /debit card / net banking. Once you’ve paid, you’ll receive a confirmation, when we send you your forex receipt. And this can all be done online though in some cases, you may need to visit the consulate with your documents. With just a little planning and some help from Thomas Cook, you can easily make travel plans and make your travel dreams a reality.